Creak! That faint sound, so soft I wasn’t even quite sure where it was coming from, could have been the beginning of a horror movie. 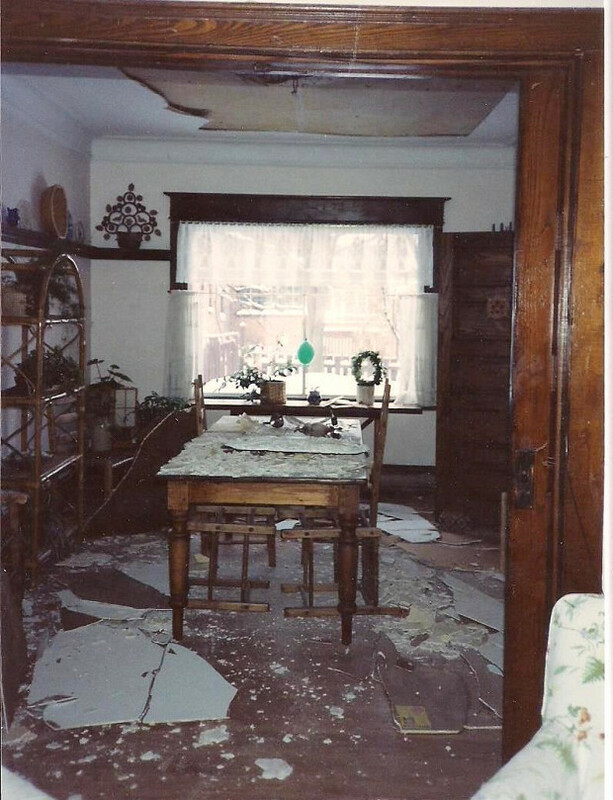 Less than a minute later, my whole dining room ceiling collapsed. 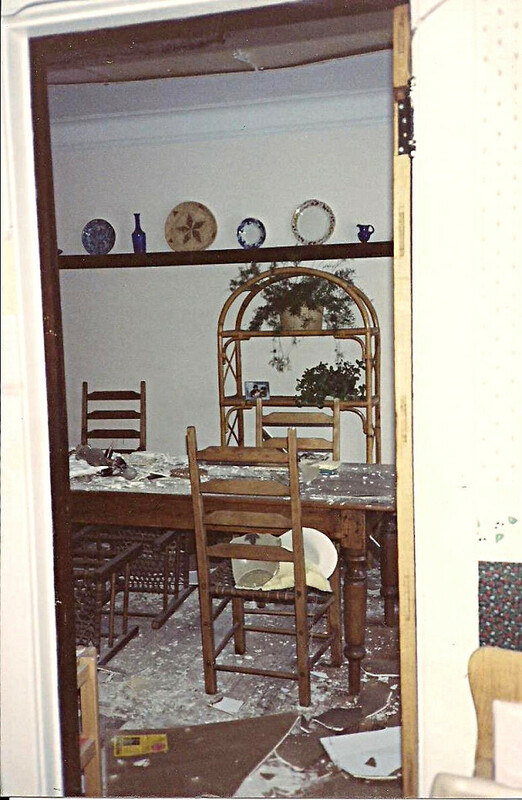 Huge four-foot chunks of plaster, together with the enormous antique chandelier, came crashing to the floor. 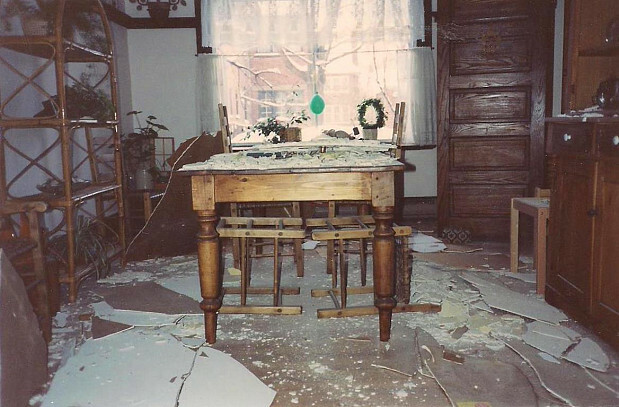 My table was dented, dishes were smashed, and chairs were knocked flat on the floor with the force of the collapse. The scene was horrifying. It was especially bone-chilling because I had just hosted a family dinner in that very room for 13 people, including my brand new baby granddaughter. I shudder to imagine the consequences if we had still been sitting at the table. The reason why the ceiling fell was shocking. Apparently, whoever installed the ceiling drywall before I bought the house had been a little stingy. They made the ceiling look good but cheaped out on one essential detail. The screws they used were just too short to hold the drywall securely in place. Over several years, the simple everyday action of walking around in the bedroom above the dining room jarred the ceiling enough to loosen those cheap screws, and eventually resulted in disaster. My family members could have been seriously injured – or worse – just because a bad contractor wanted to save a few cents on screws. I needed to find a reliable contractor not only to clean up, but also to track down the cause of the ceiling collapse and take care of it for good. Since I was leaving to visit my son in Florida in a few days, I wanted someone I could trust in my home even when I wasn’t there to supervise. Fortunately, there was a local home improvement company right in my neighborhood, which had done some small jobs for me before. I trusted them. My contractor did a great job. I was delighted to come home to an intact ceiling and a spotless dining room! To me, the ceiling collapse felt shockingly unexpected. Looking back, though, I realized there was a sign that should have caught my attention. 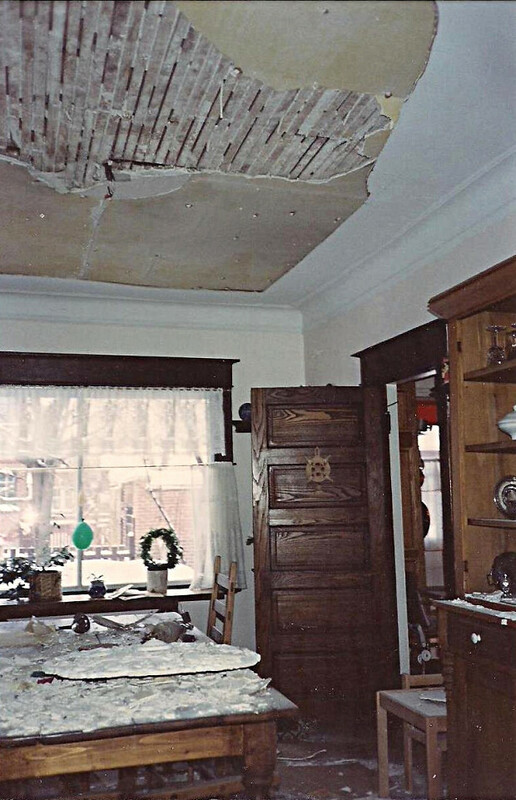 For a while before the crash, cracks had been appearing in the ceiling – fairly large ones. I tried to tell myself that they were normal in a century-old house like mine but as it turned out, they were a warning signal of serious trouble to come. How Can You Learn from my Experience? 1. Work with trustworthy home improvement professionals. The real pros will not skimp on materials or workmanship just to save a dollar or two. 2. Get to know your house. Walk around and inspect its nooks and crannies regularly. If anything – even something small – starts to appear out of the ordinary, call a contractor and have it checked out ... for your family's sake.